After living in Japan for over thirty-five years and working in various fields, Dutchman Harold George Meij has taken on the world of Japanese pro wrestling. 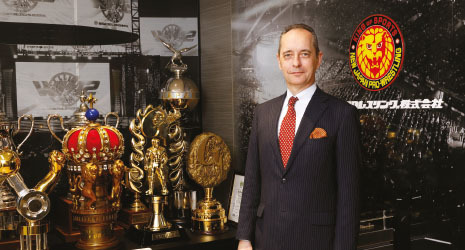 His dream as the CEO of New Japan Pro-Wrestling is to connect Japan and the rest of the world though pro wrestling—a spectator sport that has evolved into a unique facet of Japan’s pop culture. Pro wrestling is one of Japan’s hidden pop culture gems. As visitors to Japan become more interested in unique experiences, as well as things in Japan, Meij hopes that pro wrestling will be one of those choices.